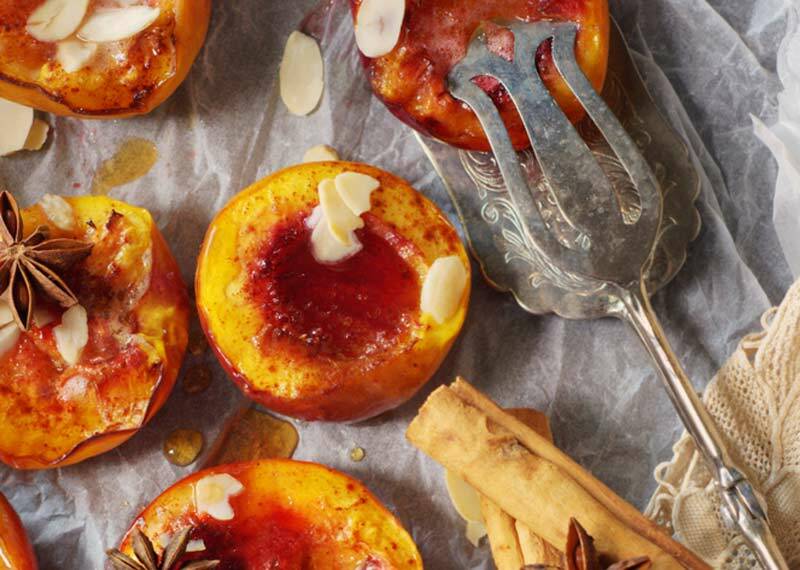 Arrange peach halves in an oven dish, splash marsala over the fruit, sprinkle with the sugar and salt. Add the scraped vanilla pod to the dish. Bake 40mins uncovered. Mix mascarpone and crème fraiche in a bowl, add the vanilla seeds and castor sugar. Mix through and lightly whip with a whisk until light. Careful not to overwhip! Serve 2 halves per person with a generous dollop of the whipped mascarpone and spoon a little of leftover sauce over.